I'm Having Their Baby is a docu-series that premiered on the Oxygen Network last year with compelling stories of parents putting their babies up for adoption. I really liked this series last year because I usually only think of the baby when I hear about adoptions. It's easy to forget that there's one parent, sometimes two, on the other side who are making a difficult decision. I appreciated that I'm Having Their Baby told “the often untold story [of adoption] through the eyes of the birth mother.” The stories are highly personal and tell of the struggles of unplanned pregnancy and the ultimate decision of choosing to place the baby in the hands of another family. Another high point of the series from my point of view as that every mother featured on I'm Having Their Baby was clear that she only wanted the best future for her baby. I'm Having Their Baby season 2 returns to Oxygen network on Wednesday, June 12 at 10 PM EST. This season will delve even deeper into the lives of birth mothers looking into the adoption process and will even involve family and friends affected by the decision. I'm also very interested because the show is also bringing in the adoptive parents for some of these adoption cases! 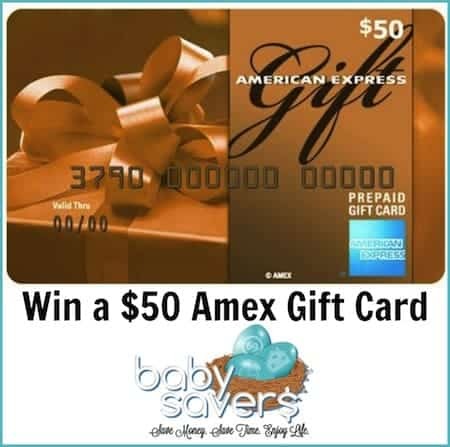 Leave a comment below sharing your favorite part of the webisode and enter via the Rafflecopter box below for a chance to win a $50 AmEx gift card – the winner will be announced on 6/12! If you didn't watch the first season, or if you want to reconnect with the mothers who made the first season of I‘m Having Their Baby so interesting, you can watch the full first season of the series, the full web series, and get a sneak peek of season 2 at http://oxygen.com/baby. Be sure to LIKE I'm Having Their Baby on Facebook and follow @Oxygen on Twitter while searching for the #ImHavingTheirBaby hashtag to stay current will all the I'm Having Their Baby news! This post was written by me. It's brought to you by I'm Having Their Baby via Burst Media network. My favorite part is when Jaime said she said that Josh and Jen, the adoptive parents, were everything she wanted for her baby and that Josh is a great dad. I like the way Jaime was looking out for the best chances for her children and herself. My favorite part was when they said they both keep in touch with one another. I like the part where they said they both keep in touch with one another. I love the cloesenss of everyone involved. I like that the parties involved will still have a relationship with each other. I like that both families keep in touch. Thank you! I liked that she is putting the oldest daughter through therapy to work out her feelings. I love how both families interacted and how the girls hugged at the end. I also liked how they took pictures and involved the Grandma. my fav part was Nayahma’s story! I love how the adoptive parents and the biological parents all get together with the child and that it is a happy event, and no hard feelings. I love the open adoption! thats really nice to see!! I like how the adoptive parents and biological parent get to have visits with one another. My favorite part of the webisode is Jamie’s positive outlook on her life & the fact that she did what she thought was best for her daughter even though it was a very hard decision to make. I really like that the parents can do what is best for their children! Open adoption is the best thing ever! I loved the birth mother’s maturity – wanting what’s best for her baby. I love that she sent her oldest to counseling. It shows that she’s taking care of her current children and that they will hopefully understand what happened.